Invokana, an SGLT2 inhibitor indicated to treat patients with Type 2 diabetes, has been linked to hundreds of adverse events, including dozens of cases of renal impairment and kidney failure. 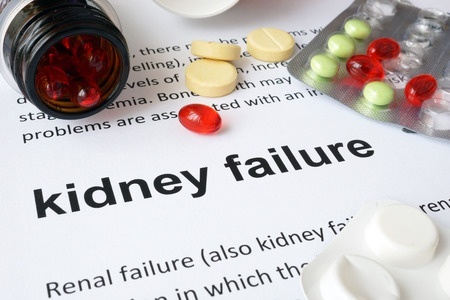 The nationwide law firm of Bernstein Liebhard LLP is now investigating product liability lawsuits concerning Invokana, including those involving kidney failure allegedly related to its use. If you are interested in pursuing such a case, please contact our attorneys at (888) 994-5118. Invokana was approved by the U.S. Food & Drug Administration (FDA) in March 2013, and was the first SGLT2 inhibitor cleared for sale by the agency. The drug lowers blood glucose levels in Type 2 diabetics by preventing its absorption by the kidneys. This allows glucose to be removed from the body via the urine. The medication should not be used by patients who have severe kidney problems or who require dialysis. Patients should tell their doctor if they have kidney problems before starting treatment with Invokana. In March 2015, the Institute for Safe Medication Practices disclosed that Invokana had been cited in 457 adverse event reports its first year on the market. Of those, more than 50 involved cases of renal impairment or kidney failure. “The unanswered question about canagliflozin— shared in part by other diabetes medications— is whether it has clinical benefits, and whether those benefits outweigh its risks. The clinical benefits of a Type 2 diabetes drug would be a reduction in the risk of macrovascular events (e.g. reduced numbers of heart attacks and strokes), or fewer microvascular complications (e.g. a lower risk of impaired vision or kidney or peripheral nerve damage), the ISMP noted in its report. “At the time of FDA approval canagliflozin had not been tested in a sufficient number of patients for a long enough period of time to answer that question. Unfortunately, kidney failure is a permanent condition that can’t be reversed. The only cure is a kidney transplant. While waiting for an organ to become available, kidney failure victims are treated with dialysis to remove waste from the body. Bernstein Liebhard LLP is offering free, no-obligation legal reviews to individuals who may have suffered kidney failure or other complications related to the use of Invokana. To learn more about filing an Invokana lawsuit, please call (888) 994-5118.